« First Year Fifteen Spotlight: Want to Get Involved? What makes Leadership events so appealing to me? It may be because I feel as though I am developing as a leader in these programs or because I feel strongly about being a role model at Rutgers. Most importantly, I truly enjoy all the programs offered by Rutgers Leadership & Training. These programs have helped me make new friends and new people. After attending these meetings, I feel more confident as an individual to make changes in the Rutgers community. First Year Fifteen Events are worth attending because they challenge you to learn more outside the classroom. The first program that I attended through the Leadership Office was Camp UKnight. Camp UKnight was a three day leadership retreat over the summer of 2013. I went purely to make new friends and get more comfortable in my new environment. I found myself learning many leadership skills over this retreat in addition to making friends. Rowing ten miles down the Delaware River with someone that I just met pushed me to utilize skills that I had learned about leadership and how to work as a team. The First Year Fifteen Leadership kick off was another memorable event because it allowed me to meet new people who are also first year students. Additionally, the WOW Talks were important because they brought different experts in leadership to inspire and instill great values within us. Stephen Shedletsky also gave an inspiring talk to a handful of First Year Fifteen students and he inspired us to get out of our iPhone centered lives and become more open. He inspired us make changes in our lives. Born in a city on the banks of the Yangtze River in China, I was brought to the United States as a wide eyed five year old kid who saw this nation as a shining city on a hill. Raised in the large diverse community West Windsor Plainsboro, I was raised with a global perspective and a desire to learn. I was taught by my parents and schools to prioritize both academics and leadership in order to become a well-rounded lifelong learner. First Year Fifteen is a step that I am taking towards advancing my communication and leadership capabilities. I am embracing opportunity, what R U waiting for? 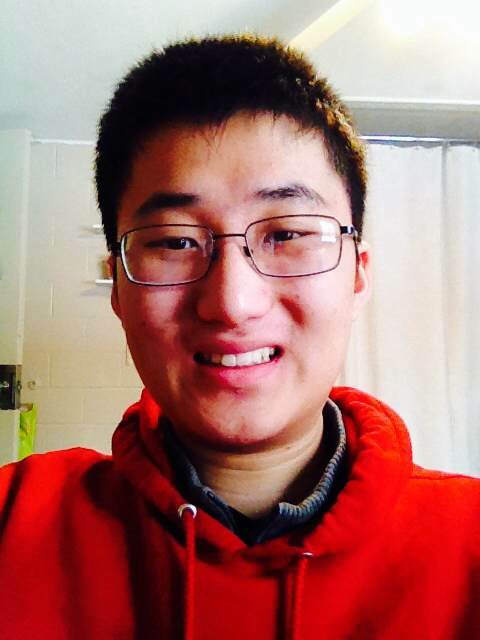 Henggao Cai is currently a Rutgers Business School student and the current Livingston campus representative with RUSA. He is also an active member of the first year fifteen program.